Fitbit sits atop the fitness tracker pile as the best-selling company in the market. Luckily, popularity also means quality in this case, and the Fitbit Charge 3 is the company’s best all-rounder activity tracker. 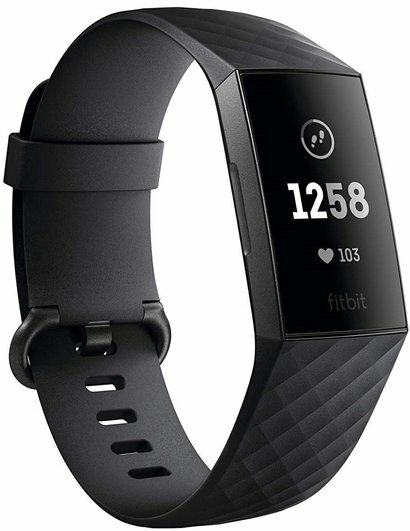 Sure, Fitbit also has full smartwatches (Ionic and Versa) and simpler band trackers (Alta and Ace), but it’s the Charge 3 fitness watch that combines the best of the two. Now in its third generation, the Fitbit Charge comes with a reduced weight compared to the previous model. Stylish and svelte, the wearable fitness tracker looks and feels good on the wrist. Fitbit has decked the Charge 3 out with a larger screen, allowing information to be presented more clearly. With waterproofing, the device is robust enough for the outdoors and has an enviable health suite, including a heart rate tracker. There are some caveats to consider, such as the screen only being available in black and white and a lack of GPS support (you can connect to GPS on your phone); both those features are available on rival devices. However, Fitbit Charge 3 is our favorite fitness tracker because of its high-quality design, build quality, and solid features. Garmin knows a thing or two about tracking; the company is one of the leaders in GPS tech and hardware for vehicles and outdoor technology. Perhaps that heritage makes it surprising that the Garmin Vivosmart 4 does not come with on-board GPS. Luckily, that does not stop it from being a strong fitness tracker with plenty of interesting features. On the fourth version, Garmin fitness tracker has bumped the screen size of the Vivosmart, while the battery has been upgraded and should be good for about a week of decent use. We are big fans of a feature of this activity tracker called Body Battery, which tells you when you should exercise by reading how much energy you have. This is an innovative addition and can help users know when to recover, when to hit the road, and when to rest. 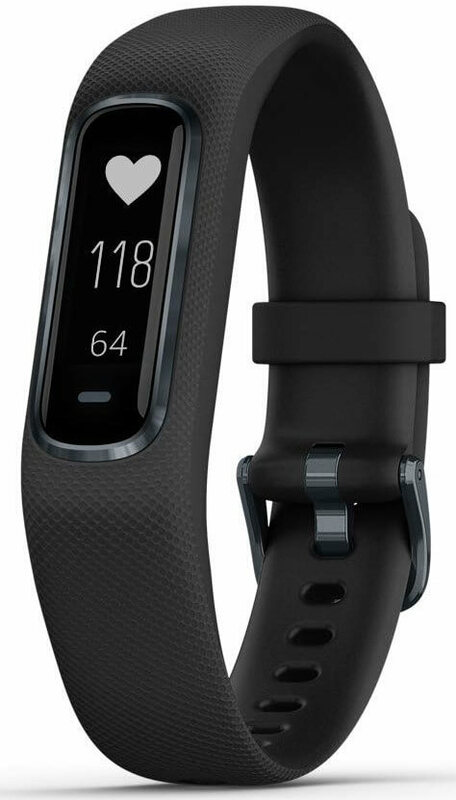 Unfortunately, the Garmin fitness tracker Vivosmart 4 still lacks a screen that competes in size with the Fitbit Charge 3, and it is not as feature-rich as some of Garmin’s (admittedly more expensive) range, so the fitness watch won’t appeal to serious athletes. The Moov Now is proof that functional technology can be simple and effective, not reliant on bells and whistles. 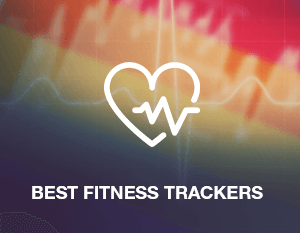 Yes, it also helps that the fitness tracker is a bargain at around $50 (compared to well over $100 for other activity tracker gadgets on this list). Affordability is pointless without quality, so it is good that the Moov Now delivers. It is fairly amazing that the Moov Now is a few years old but remains among the best fitness trackers. That said, perhaps it is best to deal with the bad news first, because the flaws of the Moov Now are obvious. Firstly, there is no screen in this fitness tracker, so any information you receive will need to be viewed on a second device such as your phone. The design is hardly breathtaking either, but it is also efficient enough that you rarely even notice you are wearing the band. Despite those clear drawbacks, the Moov Now fitness watch excels in other areas, most notably in terms of interesting features. For example, training modes include rep tracking, boxing suite, and swimming mode. We like the run coach of the activity tracker and the sleep monitoring feature is accurate and easy to use. Perhaps best of all is the battery life of the fitness watch, which with no screen to support can extend to a massive six months! Huawei’s ability to take the best elements of the market-leading devices and combine them into a potent alternative has been seen in the smartphone and fitness tracker markets. The Chinese company has also scored big in making one of the best fitness trackers, the Band 3 Pro, which provides an excellent choice, especially for those who want Fitbit-like features at a fraction of the cost. As we have seen with Huawei over the years, the company likes to throw every possible feature at a device, and the Band 3 Pro is no different. Users get a heart rate monitor, step and sleep tracking, VO2 max, and a 20+ day battery life. It is worth remembering that the Huawei Band 3 Pro fitness watch is available for less than $100. The design of the activity tracker is hardly inspiring and looks almost like something Fitbit would have turned out a few years ago. We know that looks are subjective, and many users wouldn’t care either way, but we think Huawei could do more with aesthetics. There is a more practical problem with the design, because the svelte screen of the fitness tracker is sometimes too skinny to read compared to rivals. Talking of design, Huawei has often fallen on the software side, and that is in evidence again. The accompanying app for the Band 3 Pro fitness tracker watch is clunky and hard to use thanks to poor UI choices. Samsung has been in the fitness tracking game longer than most and is the most prolific wearable brand on the market. With the Gear Fit 2 Pro, the company has created one of the best fitness trackers that money can buy. Perhaps we would have scored the Gear Fit 2 Pro activity tracker higher, but the truth is it only represents an incremental improvement over the Gear Fit 2. Yes, this is not a next-generation device and merely a mid-generation upgrade. 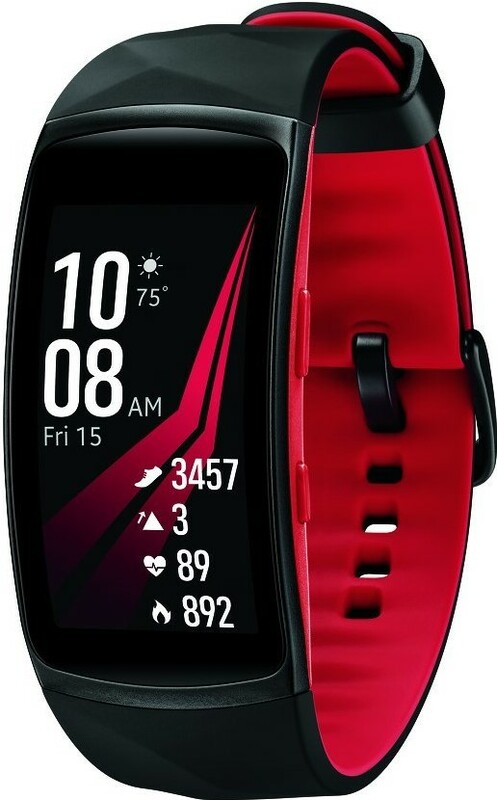 That means the new abilities are modest, but the Gear Fit 2 Pro remains a potent option for a fitness tracker watch. It boasts a simply stunning AMOLED screen that is both big and in color, making it unique on this list. Elsewhere, the activity tracker also gets GPS support, so you can leave your phone at home when heading out for some exercise. We also found the heart rate monitor to be the most accurate of any fitness tracker we have tested. As is the case with a lot of Samsung devices, the Gear Fit 2 Pro is expensive. We are not sold that a color screen justifies the extra cost. As always, it is worth shopping around to find a good price for all the models you see above. Needless to say, in an increasing marketplace, these five best fitness tracker watch devices are not the only worthy contenders. It is worth considering the specific features you need more than others before choosing a brand. Make sure you have a portable charger with you if you opt for a fitness tracker that needs to be charged regularly. 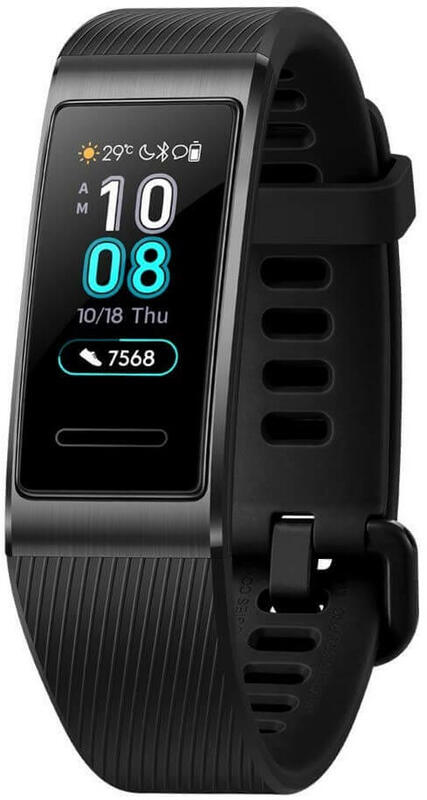 Tags: activity tracker, best fitness tracker, best fitness watch, Fitbit Charge, fitness tracker, fitness watch, fitness tracker watch, Garmin fitness tracker, Garmin Vivosmart, Huawei Band, Moov Now, Samsung Gear Fit.